Looking for free, fun activities for 8-18 year-olds? Street Stuff has released its new timetable for February and March 2018! The new programme incorporates football, dance and sessions in the popular Youth Buses which have ipads, MacBooks and DJ decks onboard. Schools, community centres and parks across Renfrewshire host the activities on Monday to Saturday evenings, and snacks are provided at some sessions. Council Leader Iain Nicolson said the activities were particularly popular over school breaks as they got young people out and about in a fun and positive environment. 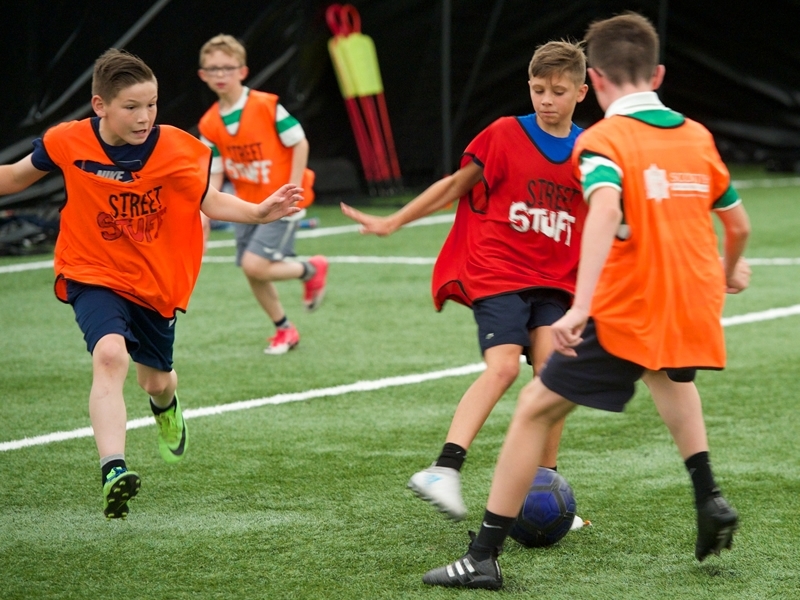 “I encourage parents to get the kids out of the house to enjoy a range of activities including street football with coaches from St Mirren Football Club, dance and clubbercise,” Councillor Nicolson said. “It’s a chance for them to get fit and active and meet other people their age in a safe, healthy and positive environment.